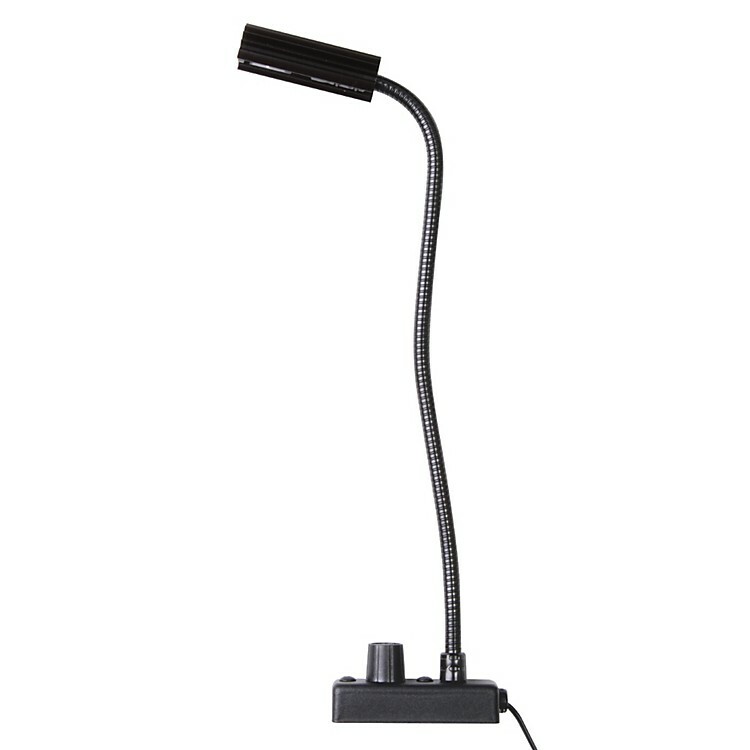 12" mobile gooseneck with a 5W halogen lamp for high-itensity illumination. The Littlite L-3 is a 12" high-intensity gooseneck lamp perfect for helping you see your setlist, pedal board, DJ gear, or other rack equipment in the dark without being overpowering on the eyes. It features a 5W halogen light and a base that mounts to flat surfaces. It works off a 12V battery that makes it ideal in situations where traditional lighting hookups aren't available. Let there be light at the performance. Order today!